Stream and sell your music through hundreds of digital music stores for just $19.99 a year with unlimited music distribution. All-you-can-eat music distribution for just $19.99! 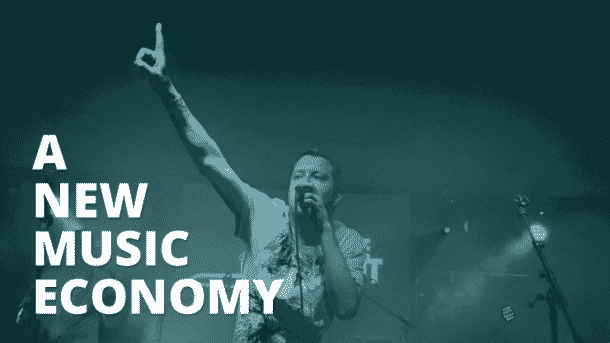 We’re changing the rules of Indie music distribution. 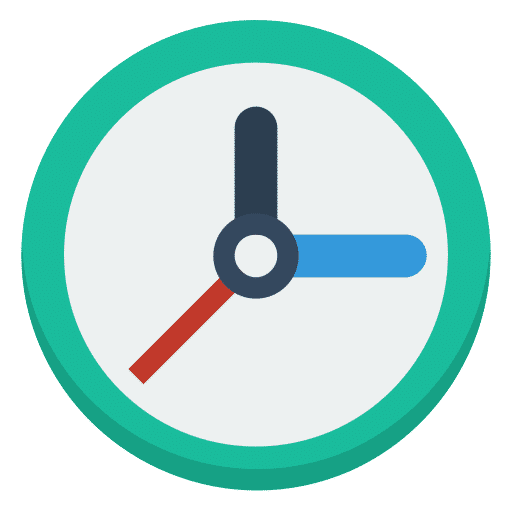 No more per-release cost, no more per-release recurring costs and no hidden fees. Just one, simple, ‘all-you-can-eat’ yearly subscription. It really is that simple. Unlimited music distribution for just $19.99! You keep 100% of royalties & full ownership. You keep 100% of all sales and streaming royalties we receive and keep full ownership of your music. The Music Site is dedicated to helping independent bands and artists, we’ll never take credit for your hard earned royalties or music rights like some larger distributors do. Sell your music online in as little as 24 hours. We make it our priority to get your music online and making money fast, so we’ve streamlined our music distribution to ensure your music is delivered to hundreds of stores faster than ever. 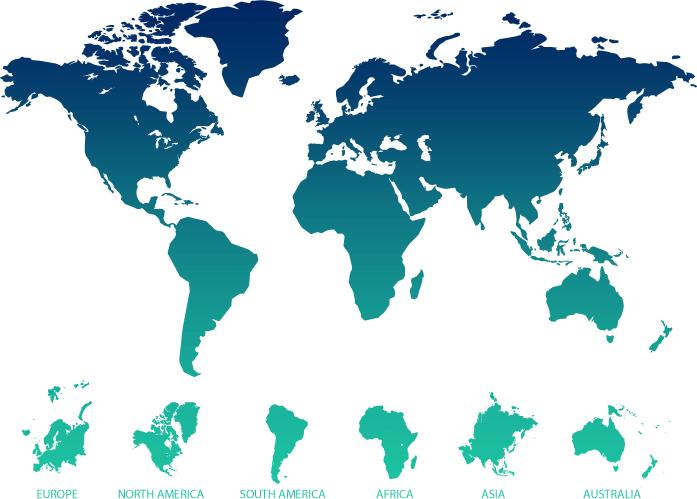 Hundreds of stores – hundreds of countries. Your music will be readily available to stream or download in hundreds of music outlets across hundreds of countries worldwide. And you can opt in or out of any store AND country at no extra cost! View the list of online music stores we distribute to. Increased exposure for your music. Your fans and fans of your genre will have access to your music on their computers, tablets, smartphones, TVs and home entertainment systems. 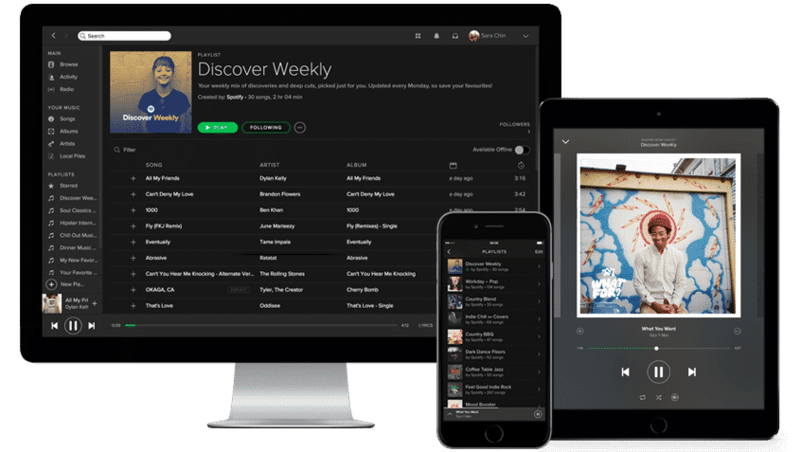 This combined with exposure across major music platforms like Spotify enables new fans to discover your music anywhere in the world. 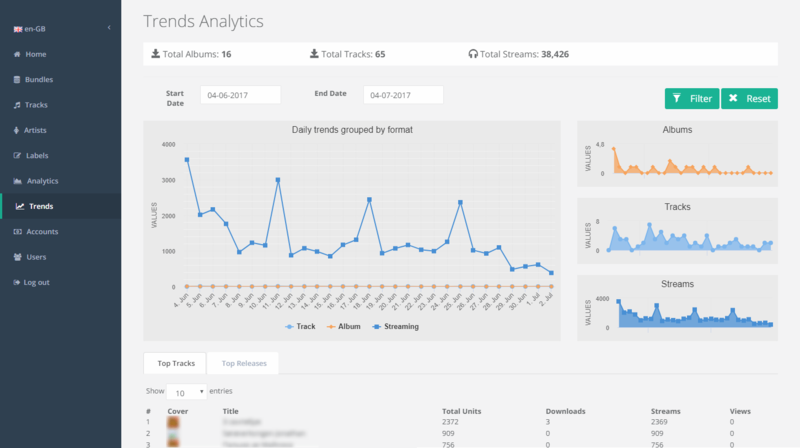 Fast, simple & user-friendly music distribution. Our easy to use drag & drop music distribution platform allows you to upload all your music, artwork and iTunes booklet together in one go. You can also edit multiple tracks at once, or let the system fill in key info for you making it even easier to get online in just 4 steps! View what you’ve sold & streamed as little as 24 hours ago! See exactly what you’ve earned, where and when. View exactly how much you’ve earned from from your music, where you earned it and when. 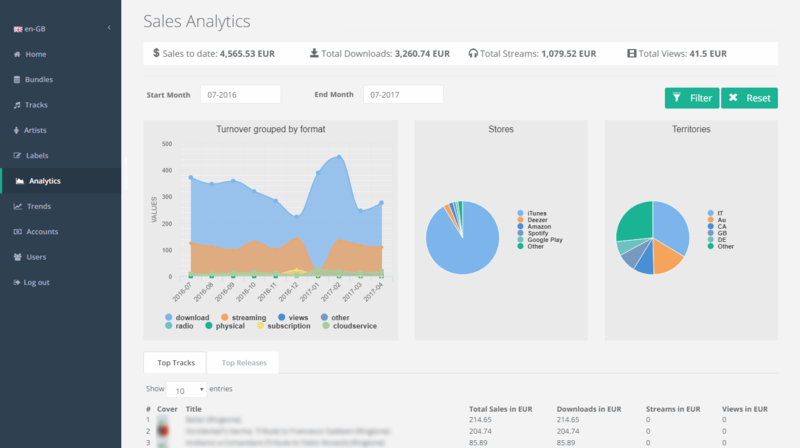 One-click filtering and you can see exactly which country, what store or streaming platform, on which day, and money earned from downloads, streaming or YouTube views! Full control over release date and pre-orders. 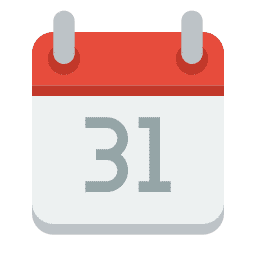 Choose a specific release date that suits you and even set a pre-order date to work alongside your marketing and promotion, giving you even more control and build momentum for greater results and bigger impact. 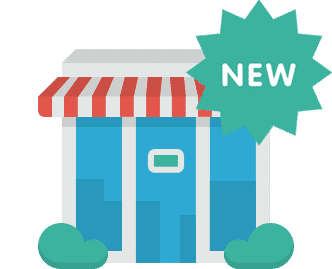 New stores added for free! New stores? No problem! Unlike others, we don’t charge you additional fees every time a new store, platform or streaming service is available. So you’ll have peace of mind knowing your music is never left behind. 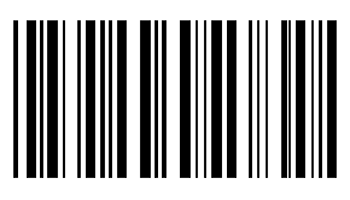 Free UPC & ISRC Barcodes. We appreciate that many artists don’t already have barcodes so we provide these free as part of the subscription to help keep your costs down and make life easier. Unlimited music distribution all year round for just $19.99! Our mission is to create a transparent, artist-friendly environment for independent musicians & creators that arms you with the tools and services you need to take control of your career without the unfair (and unnecessary!) pricing. But quite frankly, distribution doesn’t need to be so expensive, so this is one of many tools and services we plan to bring you that’s cheaper and/or better value for your buck! With our music distribution you can also choose to let us collect revenues from your music on YouTube, from your own videos and even ANY video on YouTube that contains your music without your permission. This is an optional opt-in extra, if you do choose for us to collect revenue from YouTube on your behalf, we retain 20% (from YouTube royalties only) to cover the manual administration involved with YouTube. Earn more money from YouTube. Join us and be part of our journey from the beginning. Subscribe to updates and be the first to know when we release new features including exclusive access.